TO THE EARTHS CORE ABOARD THE AMAZING MOLE MACHINE WHEN YOUR TEAM ENCOUNTERS AN UNEXPECTED CAVERN HUNDREDS OF MILES BELOW THE SURFACE. 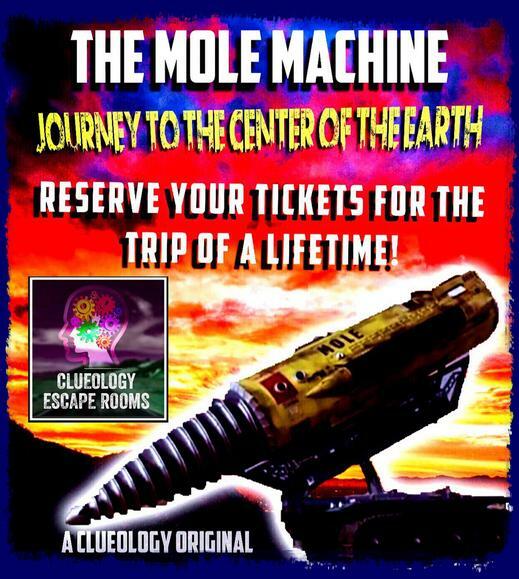 THE MOLE MACHINE UTALIZES AN INDUSTRY FIRST ACTION SIMULATION PLATFORM PROVIDING THE SENSATION OF REAL LIFE SUBTERRANEAN TRAVEL... YOU'VE NEVER EXPERIENCED THIS BEFORE! THIS ONE IS OUR MOST MECHANICAL AND ADVENTUROUS GAME SIMULATION USING SURVIVOR STYLE PUZZLES IN A VERY LARGE GAME ROOM WITH MULTIPLE CAVERNS AND OUR ONE OF A KIND AUTOMATED MOLE MACHINE SIMULATOR! GOTTA SEE IT! 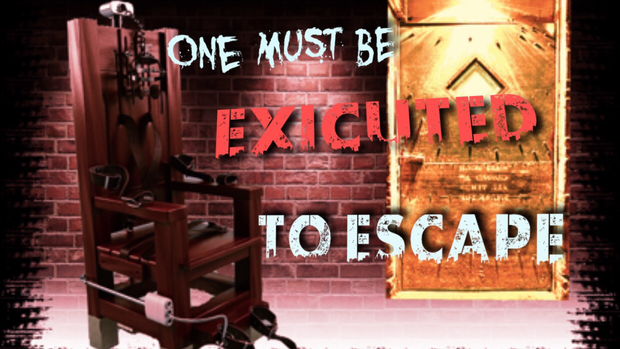 Locked away on the ROCK and facing execution within the hour! COMPLETE IMMERSION WITH DETAIL DOWN TO THE PAINT SCHEME. VERY HIGH-TECH WITH AN ANTIQUE FEEL. 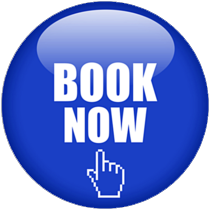 BOOK SOON! San Andreas is being replaced with, ESCAPE THE BERMUDA TRIANGLE. THE CALIFORNIA LOMA PRIETA EARTHQUAKE WAS DEVASTATING! IN 2019 THE LONG ANTICIPATED "BIG ONE" HITS TRAPPING YOU AND YOUR TOUR GROUP IN THE NEWLY DEVELOPED ANTIMATTER CLEAN-POWER GENERATION FACILITY BUILT DIRECTLY OVER THE SAN ANDREAS FAULT. DID MOTHER NATURE CAUSE THE QUAKE, OR WAS IT THE ANTIMATTER REACTOR??? SILICON VALLEY IS IN CHAOS, EMERGENCY SERVICES ARE OVERWHELMED, NOBODY KNOWS WHERE YOU ARE.. WHAT HAPPENS NEXT IS UP TO YOU! 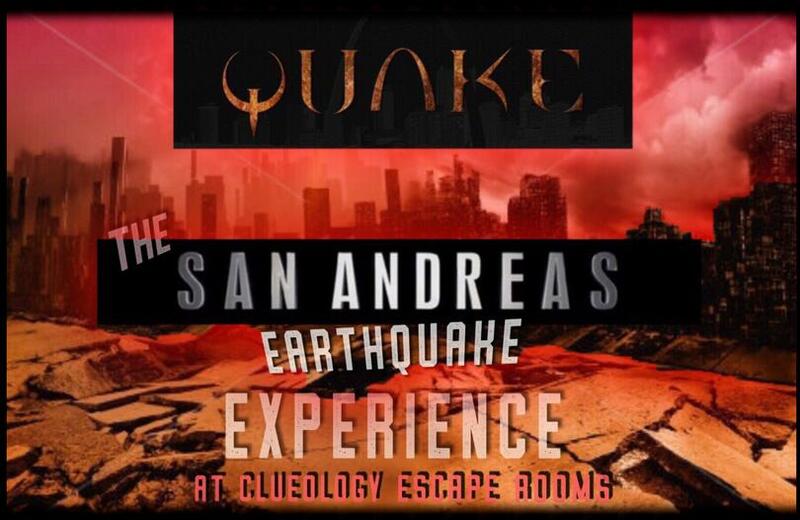 THE ​QUAKE EARTHQUAKE SIMULATOR.....NOW BOOKING!! ADVENTURE LIKE NO OTHER! OUR NEW SIMULATION ROOM IS AS REAL AS IT GETS WITHOUT ACTUALLY BEING THERE. THIS ONE MAY BE TOO REALISTIC FOR YOUNG CHILDREN! ONLY TO FIND SECRET PASSAGE WAYS, STOLEN GOVERNMENT FILES AND A ROBOT ON PATROL THAT YOU WILL NEED TO OVERRIDE! THEN ESCAPE WITH THE SUPER DRIVE CONTAINING OFFSHORE ACCOUNT INFORMATION WHILE THERE''S STILL TIME! 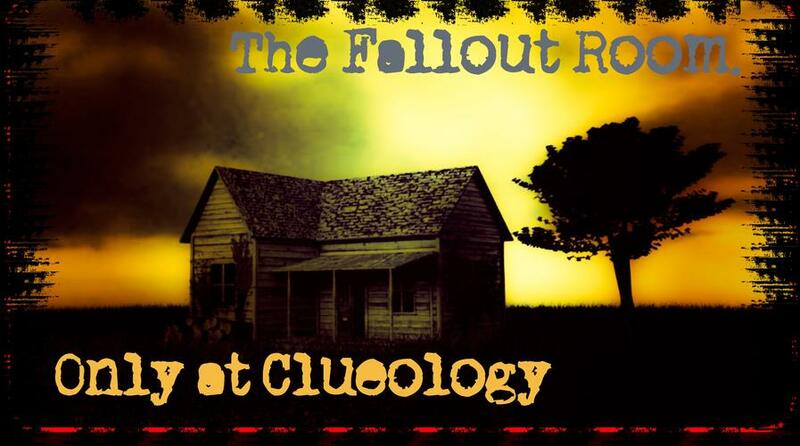 A NEXT GEN, TECH BASED ESCAPE ROOM WITH A PERFECT BALANCE OF CRAFTSMANSHIP, IMMERSION, SURPRISE AND SUSPENSE GUARANTEED TO IMPRESS THE FIRST TIME PLAYER AND PRO-GAMER ALIKE!